Discussion in 'Announcements' started by Krilion_GD, Jun 11, 2018. 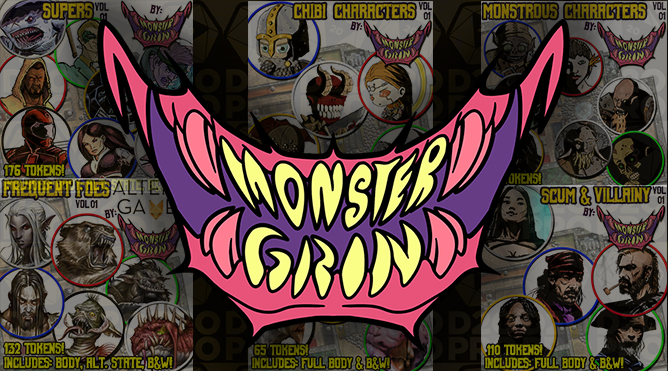 Make your GM smile with Monster Grin’s collection of creature tokens! With 33 token packs, and more coming every day, you’ll be able to populate your battlefields in no time. Perfect for fantasy, modern, horror, and sci-fi games!